Research has demostrated that properly applied ( and properly timed) sealcoat can save the owner of a property $100,000 or MORE -- over the life of a hot mix asphalt pavement. But what does seal-coat actually do that results in the substantial savings? 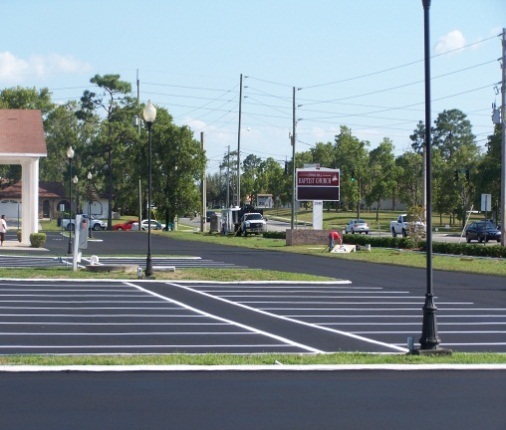 In spite of its excellent adhesive and waterproofing properties, asphalt has some serious drawbacks that relate to its chemical makeup. 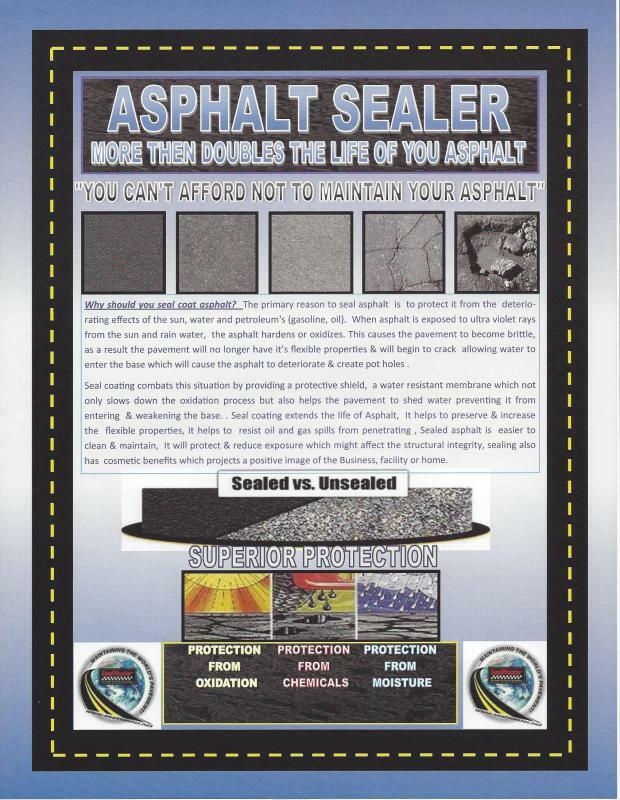 Asphalt is a very complex mixture of thousands of chemicals which are perdominantly open chain (aliphatic) in structure with a considerable degree of unsaturation within their molecular structure. The open chain provides easy access to weather & salts which disintegrate the asphaltic molecules. As the asphaltic molecules disintegrate, the asphalt in the pavement loses much of its original properties, such as binding and waterproofing. The first visual sign of this phenomenon is a progressive change in the color of the asphalt pavement from rich black to a brown gray. as petroleum, these various products existed together for millions of years. It is only through the petroleum refining process that they are seperated for various uses. Because these individual products come from the same source, they have a natural affinity for one another and when put in contact with each other will try to join together again. 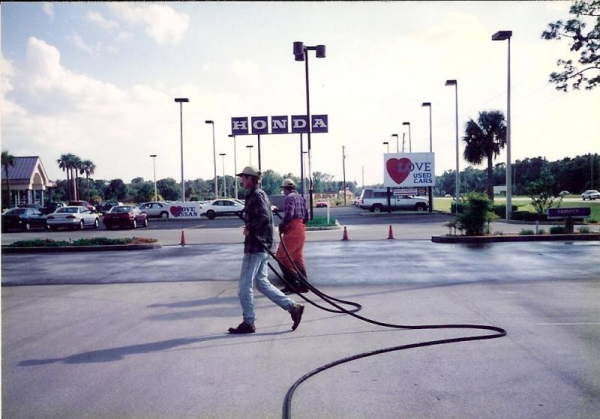 So when automotive oils or gasoline -- both petroleum distillates-- leak onto an asphalt pavement, they will work to easily dissolve the similar chemicals in asphalt. these problems are associated with off-street pavements such as parking lots, minor streets, airport aprons or runways, service stations and home driveways, which carry low levels of traffic. Roads, having the advantage of continuously rolling traffic, do not need protection because of the rolling action of the traffic steadily brings the lower layers, rich in asphalt, to the surface and "kneads" the oxidized surface layers back into the pavement. 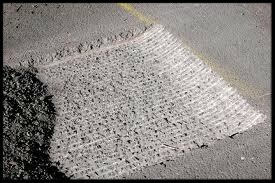 Eventually all the asphalt binder is exhausted and the asphalt begins to unravel due to the absence of the binding cement. Thsi happens to all pavements including roads. the rate of pavement deterioration depends upon the traffic volume as well as climate conditions. The next step is the development of minor cracks which widen and deepen in time. if the cracks at this stage are not repaired water will seep into the base courses and damage the pavement's load bearing capacity. It is evidenced by rutting, shifting and serious aligatoring. 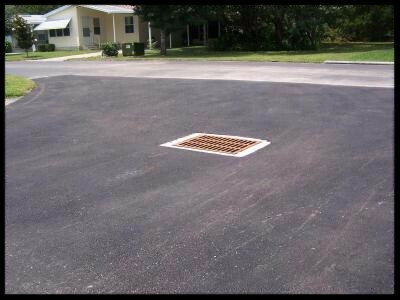 The pavement then must be overlaid (resurfaced) or completely removed and re-installed depending on the condition. Off-street pavements do not have the advantage of this "kneading" action the surface layers of off-road pavements are under continuous attack from the weather and other destructive elements. The damage will continue if proper protective actions are not taken. 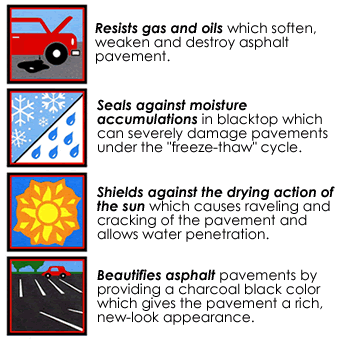 So it would be logical to conclude that off-street pavements can be preserved by a "protective coating" that resists attack by the elements that the destroy the asphalt in the first place. 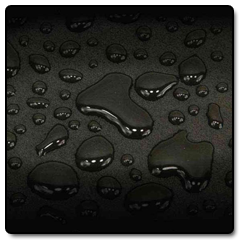 Seal coating is your protection against most of the damaging elements that both man and nature have in store for your asphalt surface. 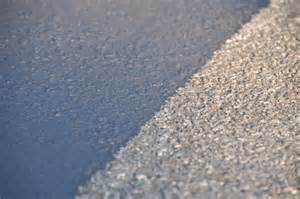 Left untreated .... Asphalt pavement will deteriorate rapidly, the sun causes the asphalt binder that hold the asphalt together to oxidize.